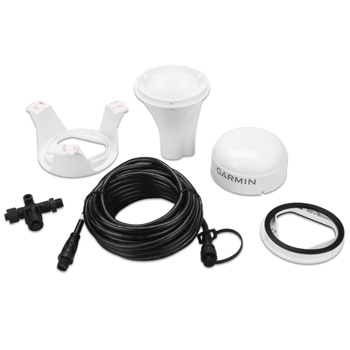 The Garmin 19X NMEA 2000 antenna provides you with the most accurate data, more quickly than ever before. Delivering important information such as position, heading, & speed up to 10 times faster to your multifunction display (MFD) unit or other instruments & displays. Built with a 32 channel receiver that’s WAAS capable, you will get an accurate position reading within 3m (9.84ft.). 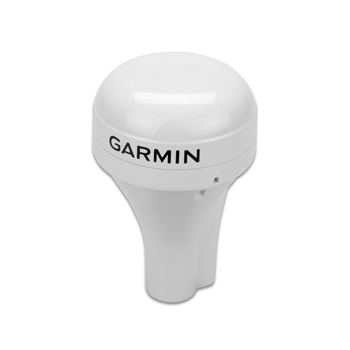 Made to withstand all that mother nature brings your way, the Garmin 19X is waterproof to IPX7 standards and can be easily pole mounted, flush mounted and can also be mounted on the underside of many fiberglass decks providing you with a number of options that can best suite your needs. 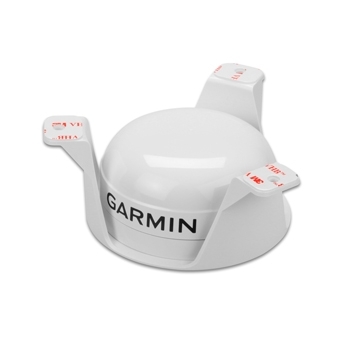 Ease of installation & accuracy in mind, the 19X by Garmin will also eliminate position skipping at trolling speed and provides you quick & accurate true heading information, helpful most when coming out of turns. To obtain the quickest & most accurate data with a GPS receiver, the Garmin 19X is the perfect match for your multifunction display. Each 19x NMEA 2000 comes with: 19x HVS Antenna, Pole Mount, Surface Mount, Under Deck Mount, 6m NMEA 2000 Backbone/Drop Cable, NMEA 2000 T-Connector, Documention and a Two-Year Warranty. WAAS Capable to Determine Location Within 3m (9.84ft.). Delivers Position, Heading, & Speed Accuracy Up To 10 Times Faster Than Other Receivers/Antennas. Elminates Position Skipping At Slower Speeds & Also Reflects True Heading Information Smoothly & Accurately.